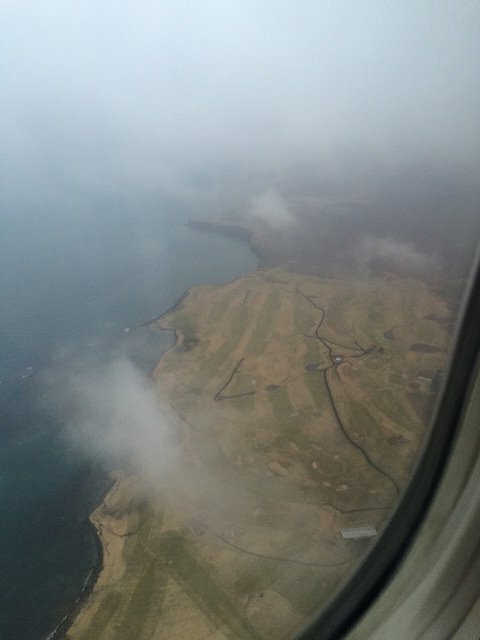 How To Get There: Air in route to Europe on Iceland Air, Wow airlines. Soundtrack: Björk, Sufjan Stevens, Kaleo. Best For: Breathtaking views, hygee, adventure seekers. Tips: Book a car to make the most of your trip. Go September to November to se the Northern Lights. Good to Know: Iceland currency conversion rate (ie not cheap). Very little darkness (depending on when you go). Attire: Lots of layers, fur, boots, knit sweater. I felt like I was stepping foot into the country as soon as I boarded Iceland Air: everyone (regardless of class) gets a bottle of Icelandic air and is greeted with a friendly Icelandic native. I had an 8pm flight so I settled into my window seat and slept the entire flight (and there’s no food served with a coach ticket anyways so I didn’t miss anything during the night). Woke up just in time to see the sunrise over the clouds. Taking the red eye helps you make the most of your stopover so you are rested and ready to hit the ground running. And the stopover helps break up the jet lag to have a day to adjust to the time zone difference as Iceland is only 1-2 hours different from Europe. Coming from the U.S. you’ll arrive at Keflavik (not Reykjavik the major, capital city about 30 km away – see map below). This is important to know because you might think you’re going to be close to all the action but you’ll need a car or to arrange for transport to get into town or do anything. The airport is super modern with free wifi and high end, duty-free gift shop. And it’s super small too so easy to pop in and out without long lines or multiple terminals. Given my short time there, I rented a car to have the most freedom and to maximize sightseeing (and luckily I learned to drive on an automatic because that’s the standard there unless you want to pay about double). You could Taxi but with it being such an isolated place, they are pretty few and far between. If you plan to do more adventurous, outdoorsy stuff then you’ll probably want an SUV but I got the economy car and it did just fine. I was a little nervous to drive since I haven’t driven a stick since I was 16 (turns out it’s just like riding a bike) or because I didn’t know how to read the street signs (turns out there’s only one 2 lane road and it’s pretty hard to get lost there). There’s no traffic and you drive on the right side of the road so it ended up being not too scary! Let me start off by saying that Iceland is windy and COLD. Like, the car door swings open and almost rips off windy cold. (Not surprising since it’s surrounded by water and has hardly any trees). But it doesn’t matter one bit because the continent is so beautiful. The land (in Ice Land) is volcanic black and there is an overcast fog that never seemed to burn away. Such cold conditions call for cozy clothes so pack accordingly, especially if you’re headed to the beaches of Barcelona after (you will want to pack a swimsuit for Iceland though – see below). I came prepared with my traditional Icelandic sweater from Old Navy but you can get an original lopapeysa wool sweater at the airport or one of the local shops (Geysir is the famous, original one). 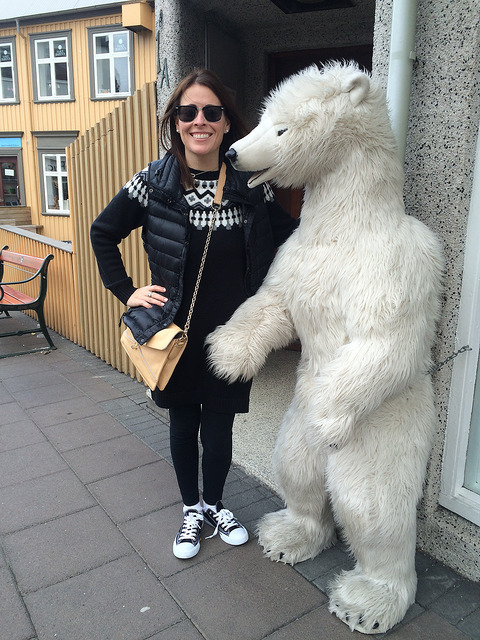 There are no shortage of hotels and hostels in Reykjavik city center. One popular option is Kex, a trendy boutique hostel in an old biscuit factory complete with a vintage cafe, heated outdoor patio and old school charm. Iceland Air also has its own line of boutique hotels to stay in throughout the country in addition to a few common brand name chains. Airbnb and bed and breakfasts are always a fun way to feel like a local (which is how I stayed). In fact, many of the homestay rentals I researched had hosts that would provide airport transport and/or flexible check in/out times to accommodate stopover guests (that are a huge part of the tourism there). There are fewer hotel options near the international airport and since I had an early morning flight I wanted to be close by. 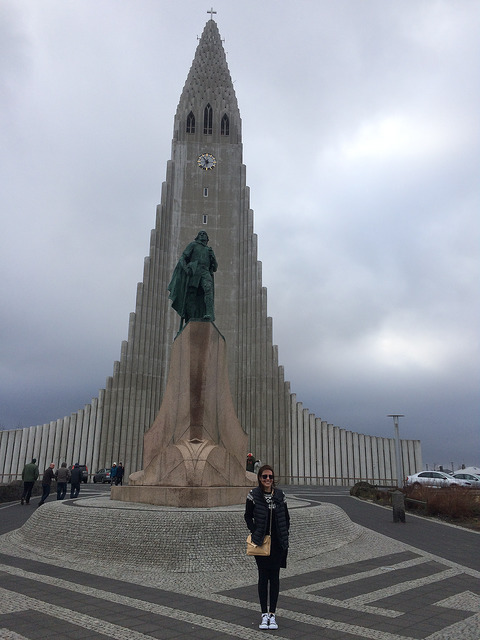 I hopped in my rental and went straight to Hallgrimskirkja, the tallest building and largest church in Iceland situated in the middle of town where you can go to the top to get a bird’s-eye view of the colorful rooftops and the sea from above. The perfect way to start the trip! Since I already parked the car I then strolled around town for a bit popping into shops including 66 Degrees North a popular brand for hats and outdoor gear, Geyser and 12 Tónar, a local music at a hip record store. If you happen to be in Reykjavik on a Sunday (like I was), be sure to stop by the Kolaportid Flea Market where you can shop for fresh fish and get a good deal on souvenirs. You will learn quickly that Iceland has a strong Viking heritage so traditional helmets and stuffed puffins (penguin-like birds) adorn the souvenir stores (along with “Iceland, yeah I’ve been there” magnets. I was planning to take a whale watching boat trip but, a las, it was too windy and the water was too choppy to take any boats out. And I just missed the boat (figuratively) on the Northern Lights (aka Aurora Borealis), a mysterious greenish blue skyline that you can see between September and early April. So instead I checked out the Sólfar (or Sun Voyage) stainless steel boat sculpture by Jón Gunnar Árnason with a scenic viewpoint for photo ops and to see volcanoes peaking through the clouds. Also walked by a few of the museums: Maritime Museum, Saga Museum and Art Museum, all located along the waterfront where the marina is. I also went to the Icelandic Museum of Rock n’ Roll and Viking Museum on my way back to the Blue Lagoon and my Airbnb since they were both nearby and closer to KEF International Airport (worth popping into for a quick visit). Also worth a visit…two words: Blue Lagoon. Worth a trip to Iceland alone just to soak in this geothermal pool and spa (that’s also one of the 25 wonders of the world). The photos don’t do it justice, the water is the bluest thing I’ve ever seen and it’s the absolute BEST place to relax after a long flight and day of sightseeing. To avoid tourists I’d recommend going early or late and be sure to book in advance online as it’s one of the more popular places on the island. And you would hate to make it all the way to Iceland and not get to experience this place. They have a restaurant, swim up bar, sauna and steam room and a silica mud mask you can slather over your face and arms. The only downside is the high-concentrate of minerals and sulfur in the water left my hair and skin a bit dry and coarse for a few days (especially after your dehydrating flight). Best known for their seafood (ie Hákarl or shark meat) eating in Iceland was a bit of a challenge for a non-meat eating (semi-gluten free) person like me. Although I’m adventurous I am not so sure about ordering these exotic things while I’m starving from a long day of travel. The reason they don’t have a big selection is because the country is so isolated and growing produce is a challenge given their climate, so meats, potatoes, cheese, and breads are the norm. A few places with good reviews I read about before my trip were Snaps, Fish Company and Reykjavik Roasters (all within Reykjavik) so I had a quick bite at Snaps before heading to the Blue Lagoon (where I had a European-style Baguette for dinner). Since it was Sunday and I was in a brunch mood I got a Belini but if you get a chance try a shot of Brennivín, their signature grain alcohol. Although almost everyone knows a bit of English (and is eager to speak it), it’s not their native language and most menus, signage and prices are in Icelandic so be prepared to ask a lot of questions. There’s no need to convert your money to króna since they take credit cards just about everywhere. Although, I had no clue what the conversion rate was and since doing the math from 1 to 0.0089 isn’t the easiest thing to do in your head, so it’s tricky to know how much things cost. However, I found out the hard way once I got my credit card statement that things are a bit pricey in Iceland, but it’s worth every penny! If you’re Europe-bound from the East Coast, a stopover in Iceland is worth considering! Even if you’re not going to Europe you can still get pretty cheap flights direct from DC. I don’t know if I’d go back unless I went with someone who had never been (my husband) or unless we did more of the camping and geyser stuff. I can’t recommend it enough though as the place is simply breathtaking!